I know that whilst the majority of people have heard of Miso as it is quite a popular Japanese staple, have you ever heard of HACHO MISO? 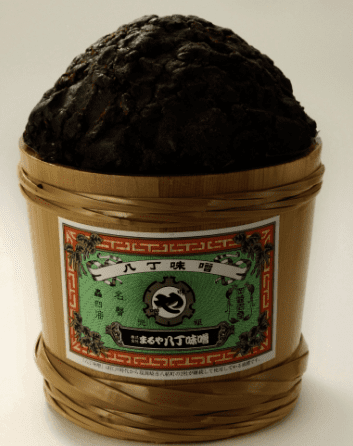 HACHO MISO – What is it? Hacho Miso is a type of miso, made purely from soybeans, with no added grains like rice and barley. It is a much darker, reddish/dark-brown colour than rice miso (made from rice and is the most common type in Japan). What does hacho miso taste like? To my dear Aussies, it is much easier to describe it’s taste by saying it is very similar to vegemite! (And it’s dark colour even makes it look a little like vegemite too). Hacho miso production originated in the early Edo period at the “Hacho Village” (in the Aichi region) – hence it’s name! 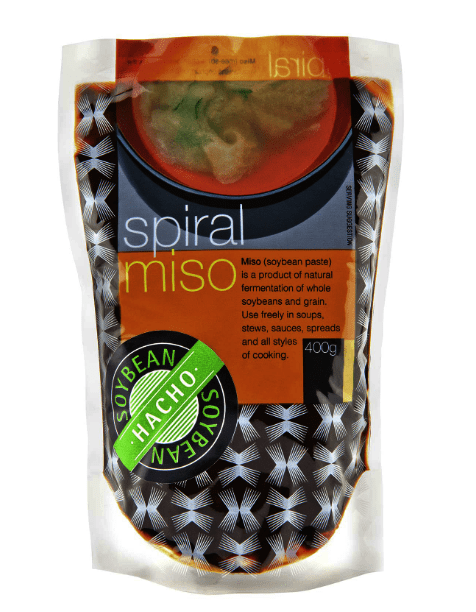 Did you know – sadly ONLY TWO stores continue to make hacho miso in Japan!? In my other post where I reveal the truth about soy sauce, I mentioned how the majority of Japanese seasonings are now mass produced. This is because they have become so popular, particularly now in Western countries too. However, sadly this has depreciated the quality of ingredients used, with many ‘fake’ alternatives now available on the market – it’s so hard to navigate which is the best option to buy! Sadly, hacho miso is also in a similar situation. Only TWO stores continue to make hacho miso using the traditional production method in Japan. 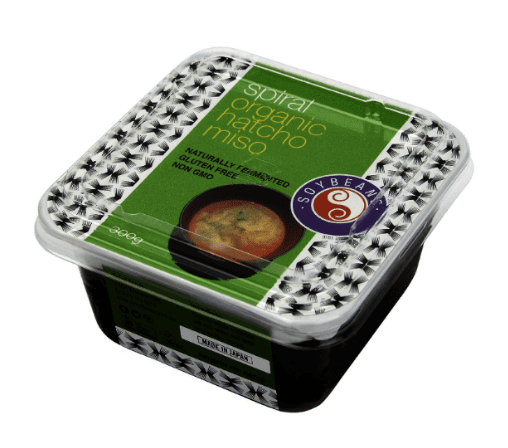 The great news is that we can now still get hacho miso in Australia from Spiral Foods & if you are in Europe of the USA, you will be able to purchase it from Eden Foods! It’s sad, however the reason less and less traditional methods are being used, is because it now takes too much time and effort to produce. Making hacho miso is a very long & Arduous process, far more so than regular rice miso! Using only soybeans and salt as raw materials, a small amount of water is used to help with the fermentation process of the soybeans (to help them break down into miso). This can be quite a lengthy process and takes effort, which is why hacho miso cannot be mass produced. A large cedar bowl is prepared and natural river stones are piled up on it’s top in the shape of a pyramid (to ensure it is heavily weighted down), and it is aged for two summers and two winters (at minimum – sometimes even longer!). This is quite a lengthy period of time in comparison to the ageing process for rice miso – which takes just 6 months to 1 year. Health Benefits – there are so many! Although miso is originally said to be good for your health due to the fermentation process, hacho miso is even better as it contains melanoidin (a brown pigment from the lengthy ripening period – which takes over 2 years… far longer than any other types of miso). & is also highly effective in preventing constipation! Hacho miso is also known to increase your IGF-I (a combination of amino acids that are translated as “insulin-like growth factors”). These are present in the body & are also contained in muscles, bones, skin, nerves, internal organs & saliva). Did you know IGF-I has a hair growth effect? Studies have shown that hair matrix cells which have previously been atrophic (reduced in size), may start to divide again upon stimulation with IGF-I. It has also been found that it will shorten the resting period where hair falls off, and as a result, it is understood that this has an effect on hair growth. As you can see, I LOVE using hacho miso in my cooking! 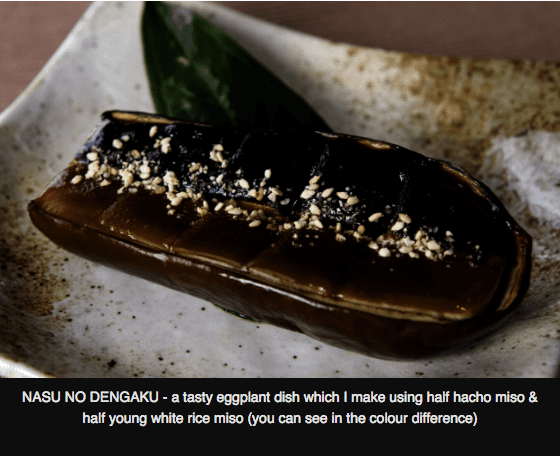 The above image of Nasu no dengaku is a delicious eggplant dish which uses hacho miso (with young white rice miso as well). 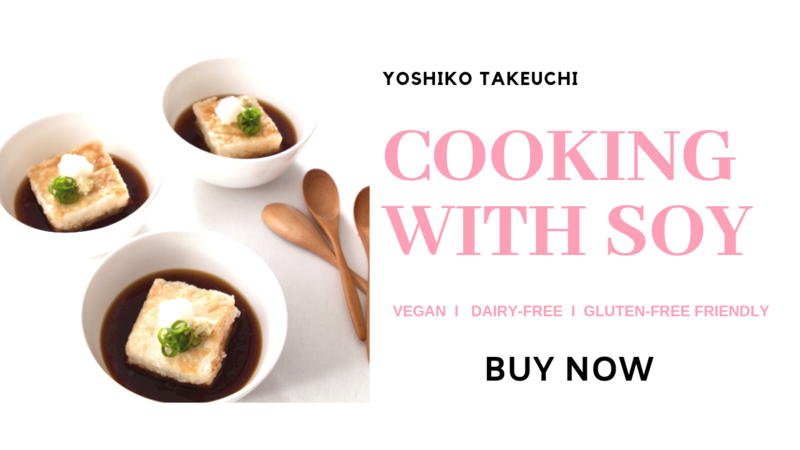 If you want to learn more about ways you can incorporate hacho miso, miso & so many other amazing Japanese superfoods into your cooking, you can find the above recipe & SO MUCH MORE in my Cooking with Soy Cookbook! I hope you are inspired to try out new ingredients & up-skill in the kitchen! 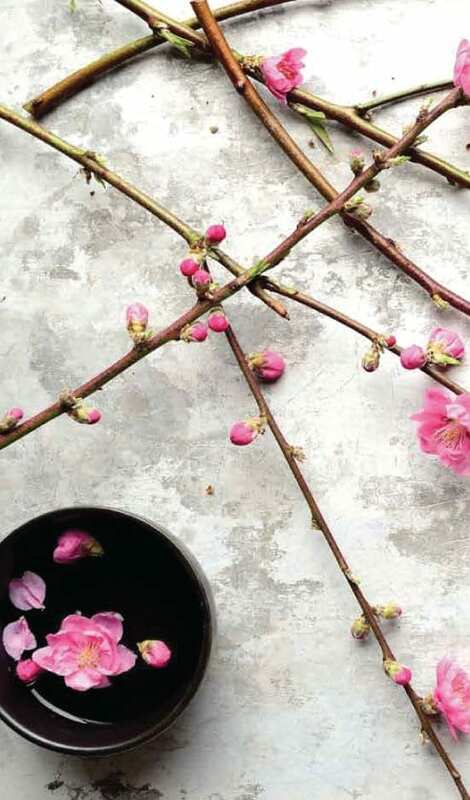 Join our newsletter for the best Japanese superfoods info, tricks and recipes. 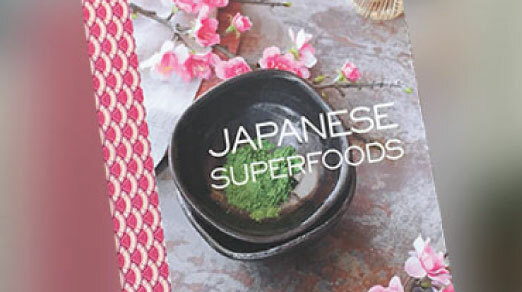 Find out more about my latest cook book, 'Japanese Superfoods'. Have you been tired of being overweight or worried about your health? I’ve created a fabulous free e-book “Top 3 Japanese superfoods for natural weight loss”. It has tips to lose weight using the top 3 Japanese superfoods that support weight loss plus yummy and easy recipes to use! Enjoy!